Most of the elements in the periodic table are metals. You use metals every day, but how much do you actually know about them? Here is a list of facts and trivia about metals. The word 'metal' derives from the Greek word 'metallon,' which means to mine, excavate or extract from the ground. 75% of all the elements on the periodic table are metals. The metals are subdivided into separate groups, such as basic metals, transition metals, alkali metals, alkaline earth metals, rare earth, lanthanides, and actinides. At room temperature, all of the metals are solids except for mercury, which is a liquid. The most common metal found in the Earth's crust is aluminum. Most metals are shiny and have a characteristic metallic luster. Most metals are good conductors of heat and electricity. Many metals are heavy or dense, although some metals, such as lithium, are light enough to float on water! Most metals are malleable or may be beaten into a thin sheet. Many metals are ductile or capable of being draw into a wire. Many metals are sonorous or make a bell-like sound when struck. Metals are elastic or tend to bend rather than break. Metals known as metalloids or semimetals have properties of both metals and nonmetals. Alkali metals, such as lithium, sodium, potassium, and rubidium, are so reactive they will ignite and even explode if placed in water. Despite what you read in books and see in movies, most radioactive materials do not glow in the dark. However, some radioactive metals either glow from internal heat or else release radiation that reacts and produces visible light. Examples of radioactive metals that glow include plutonium (red from heat), radon (yellow to orange to red), and actinium (blue). Noble metals, such as silver, gold, and platinum, resist oxidation and corrosion in moist air. Precious metals have significant economic importance. Most of the precious metals also are noble metals, since it's important for a currency to resist wear and tear. Examples of precious metals include gold and silver. Tungsten is the metal with the highest melting point. Only carbon, a nonmetal, has a higher melting point of all the elements. Steel is an alloy made from iron with other metals. 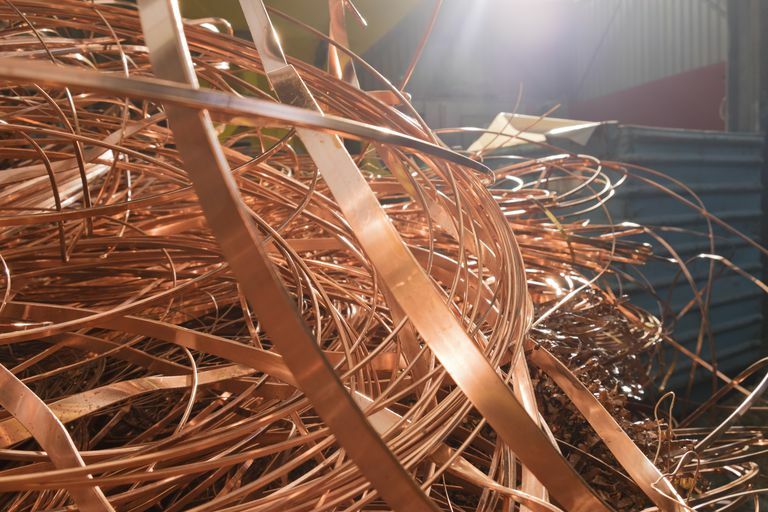 Bronze is an alloy usually made from copper and tin. Brass is an alloy usually made from copper and zinc.